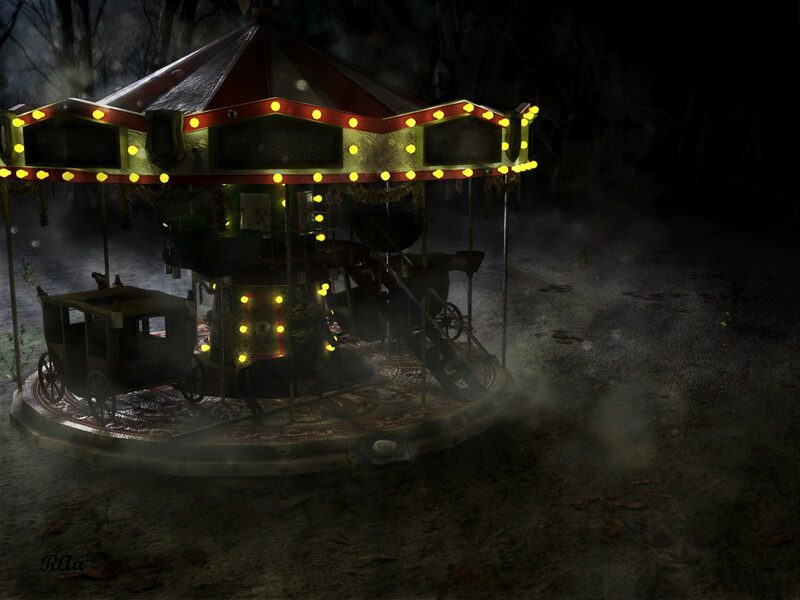 Render of my low poly 3D piece: Carousel, using Corona Render and GIMP for post processing. Modelling in 3ds Max. Texturing in Mudbox and GIMP. Sculpting in Sculptris and Mudbox. Texture baking in xNormal. 17,770 polys.